- On Saturday, Whitney had to work a double (booo! ), but the weather was absolutely perfect (yaaay! 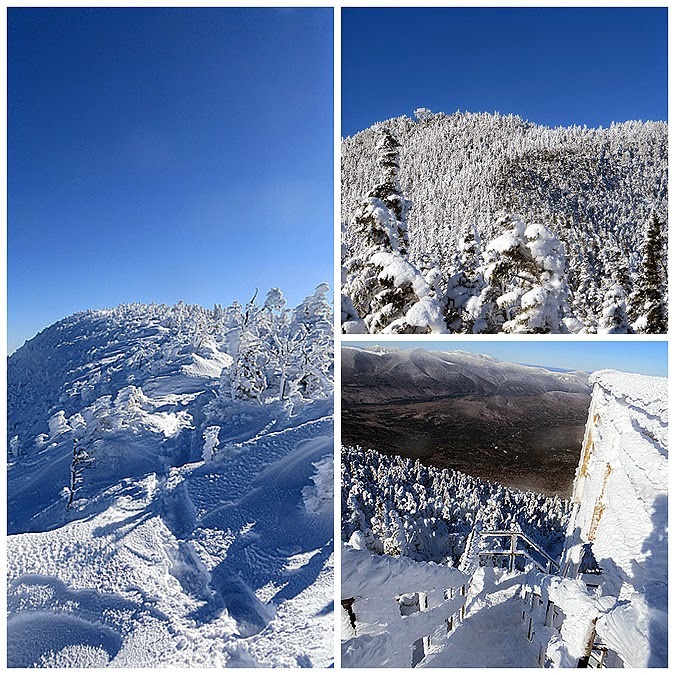 ), so I drove up Route 302 from North Conway to the Sawyer River Road for a hike up Mount Carrigain to take full advantage of the bluebird day. 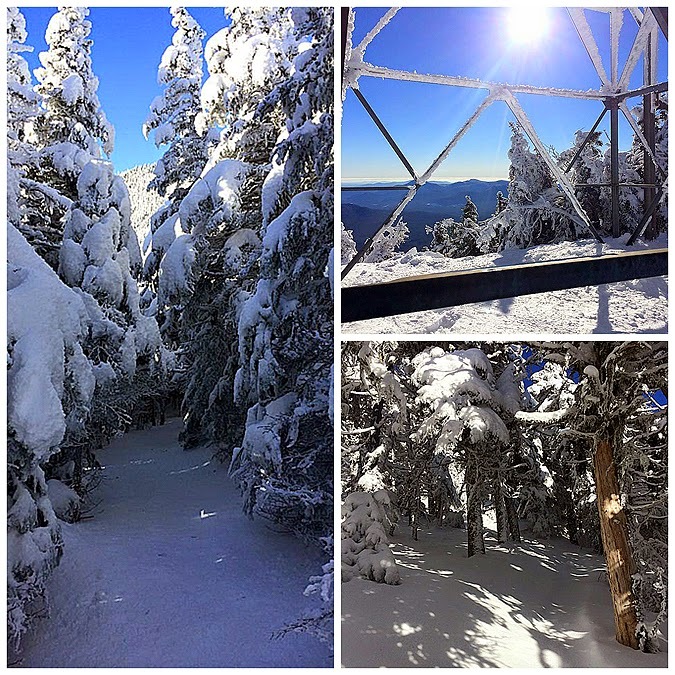 - Between the middle of November and April, Sawyer River is closed adding just over two miles to the hike to and from the start of the Signal Ridge Trail. Out of all the road walks it's my favorite because you get to walk by some of the old foundations that were left over from the town of Livermore. The foundations are just off the road and can be easily spotted in the winter when the leaves from the trees are down. - There was only one other group heading up Carrigain on Saturday, a group of seven, one of which, Doug, I had hiked with before during my winter Presi Traverse in 2012. I caught up to Doug's gropu at the beginning of the Signal Ridge Trailhead, took their picture, and continued on my way. 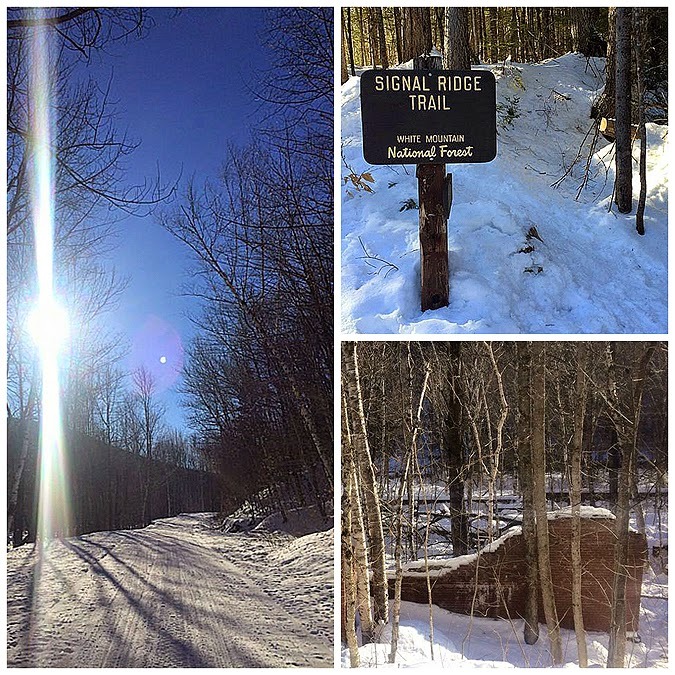 - The first two miles of the Signal Ridge Trail is pretty tame as it travels over old logging roads. 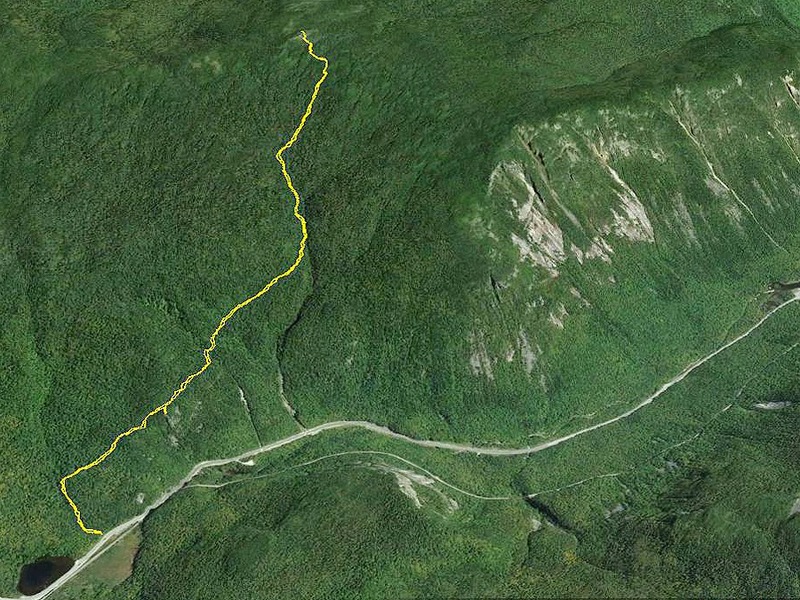 I made good time and I was happy to see the old section of the trail at the Carrigain Notch Trail reroute had seen some use so I took full advantage of that saving close to a half mile of hiking. I'm not a fan of this reroute, it has a small pud and seems to go too far out of the way. - After two miles the trail becomes steep as it heads up to Signal Ridge. 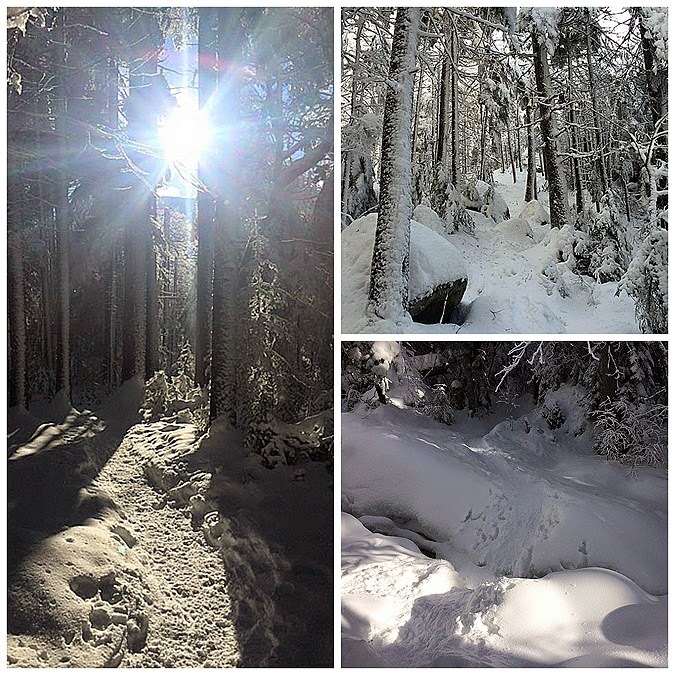 The snow depths increased but the trail was still broken out enough that light traction (microspikes) worked fine. The Signal Ridge Trail takes its sweet time gaining the ridge, unlike most trails in the Whites this one has swithcbacks, so just when you think you're about to hit the ridge, BAM, another switchback! - Eventually the trail pops out onto Signal Ridge (AKA Burnt Hat Ridge) and the views are incredible. 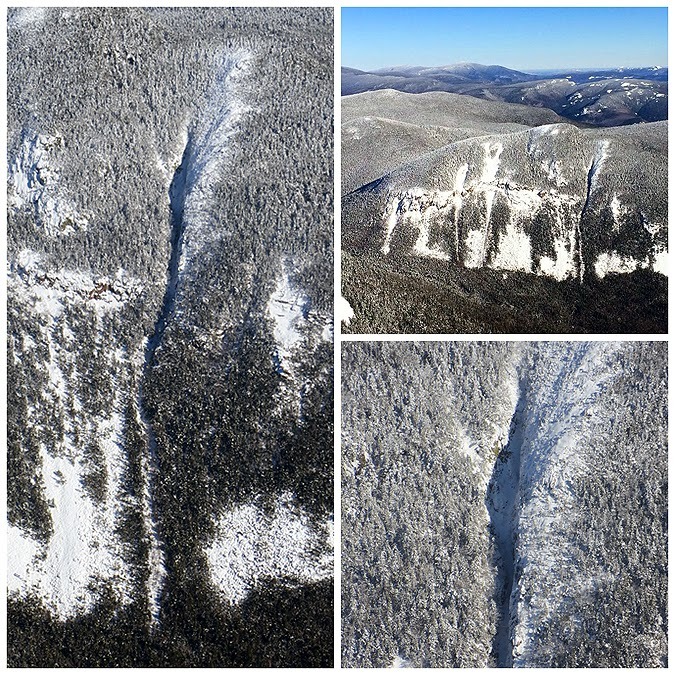 Right below is a killer view of Carrigain Notch and the slides of Mount Lowell and to the north is a great view of the Presidential Range. 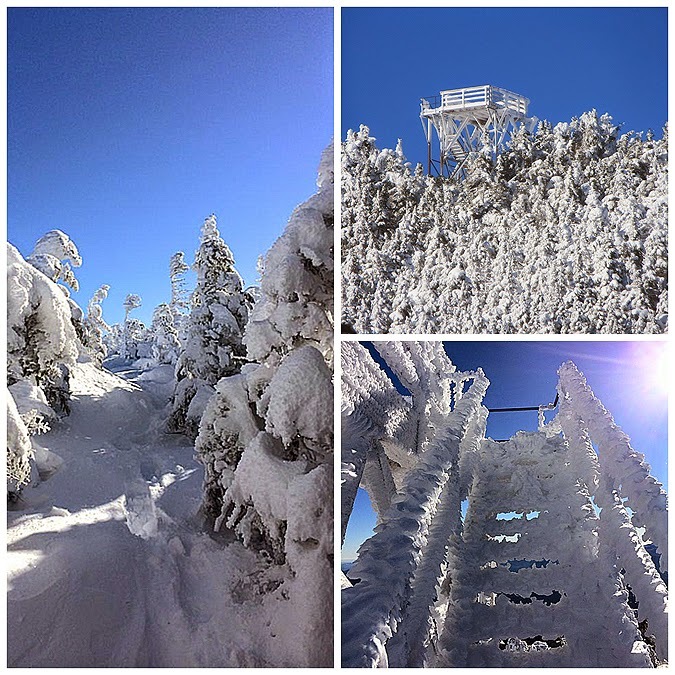 - I put my snowshoes on as the tracks from the day before stopped abruptly and I broke trail the last half mile to the summit tower. There was about six to twelve inches of snow drifting over the broken trail below. It was a pretty easy traibreaking and I enjoyed working up a sweat the last half mile. - On the summit tower I took a bunch of pictures of the Pemigewsset Wildernes; in view was Thoreau and Shoal Pond Valley, Zealand Notch, Whitewall, Hale, Zeacliff, Zealand, Twins, Garfield, Bonds, Owl's Head, and the Franocnia Ridge rising above everything. I also had a good up close view of the Hancock's and the Osceola's behind them. To the north I could see the Baldfaces, Wildcats, Carters, and of course most of the Presidnetial Range. 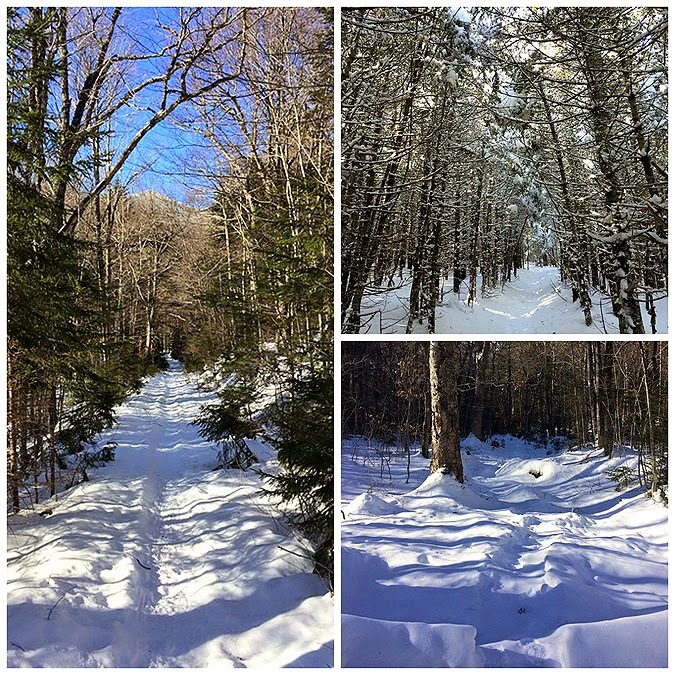 - After taking in the views I headed back down and hiked / jogged my way down the Signal Ridge Trail and then enjoyed the easy walk back to the car along the Sawyer River Road. 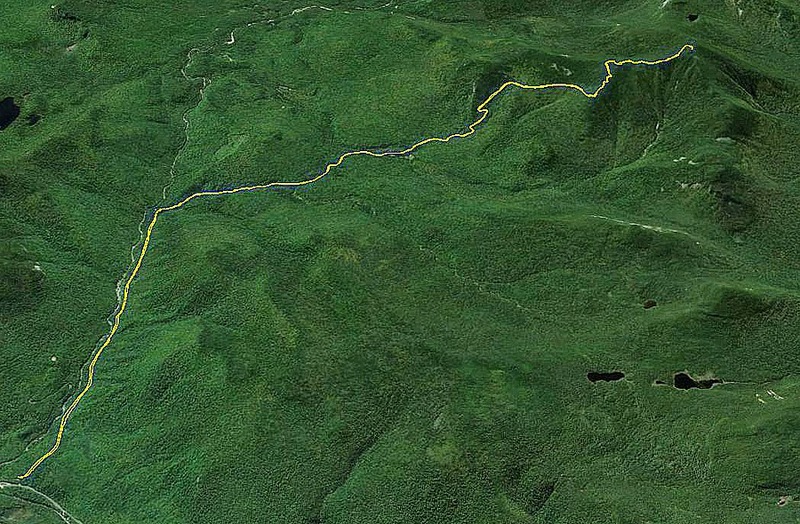 I finished the hike around 1:15 p.m. and decided to head up into Crawford Notch and do a quick hike of Mount Jackson and maybe catch sunset from the summit. 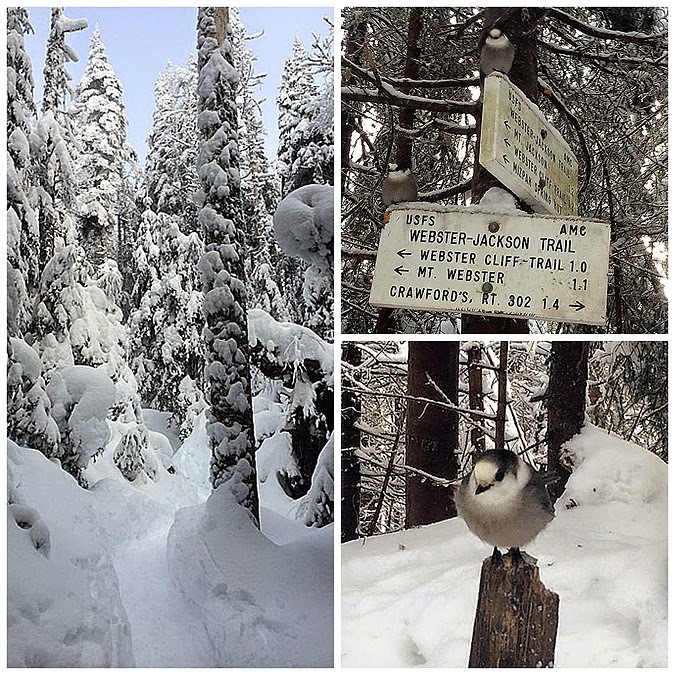 - I ended up making good time up to Mount Jackosn's summit, along the way I saw thirteen other hikers and two happy dogs. I made it to the summit around threeish so there was no sunset to be had but there was an awesome undercast in Carwford Notch making for some pretty cool views of the Willey Range. It looked like Mount Willey, Field, and Tom were rising out of a lake with steam coming off the lake, pretty awesome stuff to see. 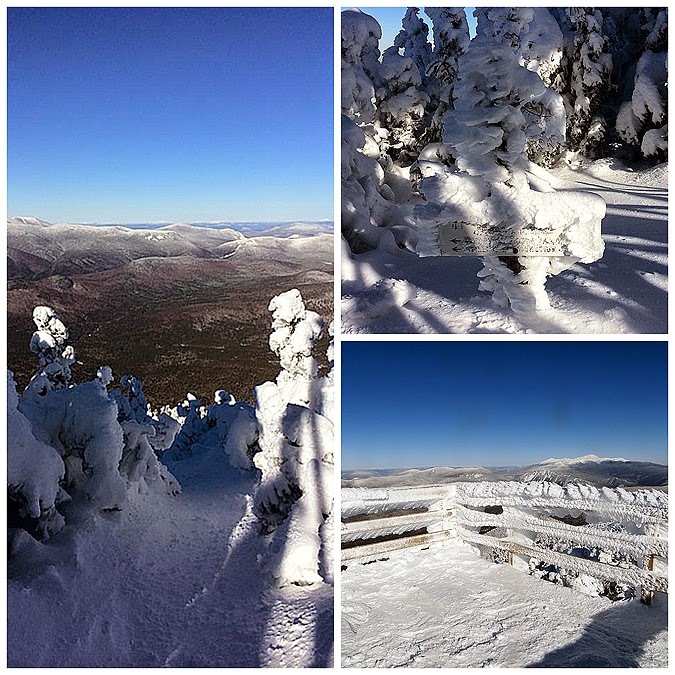 After taking in the views from the top I bombed it down the mountain and headed back to North Conway to stuff my face full of yummy food. Not a bad way to spend a solo Saturday! 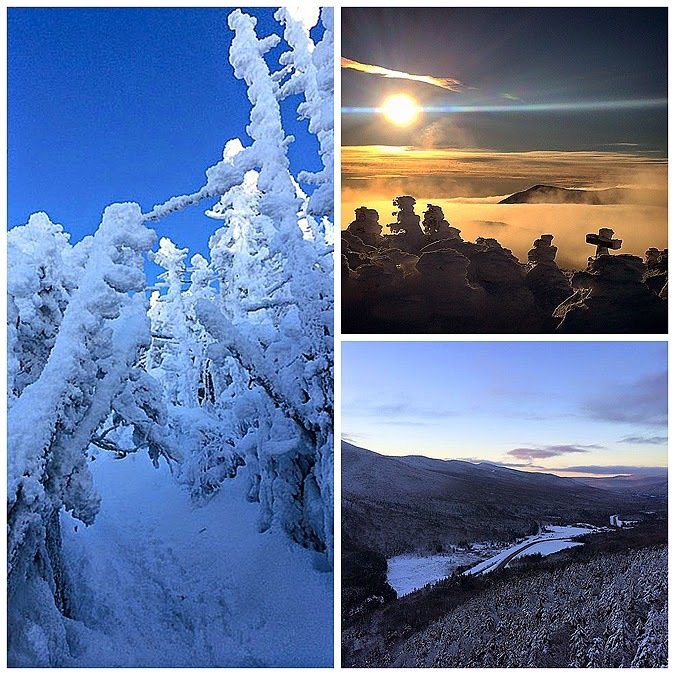 Late afternoon int he White Mountains of New Hampshire!